Welcome to Lyme Bay Self Storage in Seaton, Devon. Based in Seaton our East Devon self storage centre caters for residential and commercial clientèle. Located centrally within an area that covers Lyme Regis storage, Colyton storage, Axminster storage, Sidmouth storage and Honiton storage we are ideally placed to provide your East Devon storage needs. We're bound to have a room to suit your needs! Clean, safe & secure for all your treasured possessions. Whether you require 2 weeks or 2 years, we're here to help. We solve your business storage needs from document storage to merchandise. We are convenient and flexible. 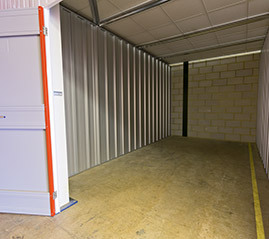 The self storage facility has easy access within a high security premises protected by 24 hour CCTV and electronic access control. 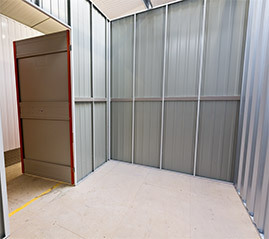 Our modern, clean, secure & bright storage rooms come in many sizes from 28 Sqft to 180 Sqft with 9ft ceiling height, so we are bound to have a room that suites your exact needs meaning you’re not paying for unwanted space. We also sell a range of boxes, bubble wrap and other packing materials to make your move easier. Insurastore provides you with fast, easy, low cost, flexible new for old cover for your domestic and household goods stored in a self storage facility.